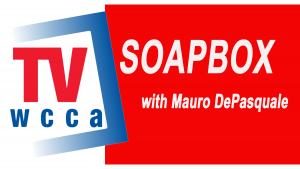 Soapbox is all new in July.The show, hosted by Mauro DePasuale, has been in production since 1993 and we have produced over 1168 shows. 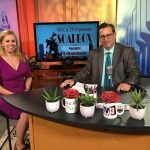 Tune in on Saturdays at 10:30pm and Sundays at 6:30pm to WCCA TV Ch. 194 in Worcester or as it streams live online at those times at wccatv.com. 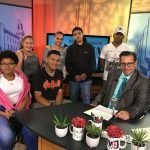 Topics of this month’s shows are stART event in September, Immigration, the Ecotarium and Technology Safety, and much much more…. 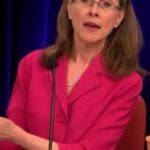 See past episodes at wccatv.com , just search Video on Demand for Soapbox. 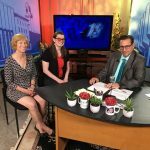 To be a guest, email tracy@wccatv.org . 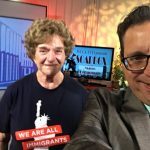 We will be airing encore episodes of Soapbox in August and September but we return with all new shows in October. Happy Summer! 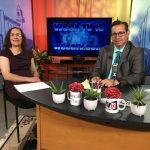 This entry was posted in Community, Events, Mauro, News, Public Access, Shows and tagged Community Media talk about Worceseter, fun, Mauro DePasquale, public access television, Soapbox, wcca tv on June 26, 2018 by mauro.